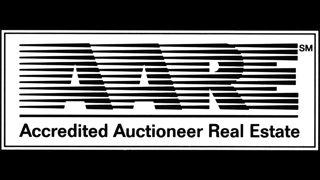 Read one of these articles that were written about my life-changing turn of events when I was 28 years old and why I decided the time was Now for me to live out my life long dream of being an Auctioneer. This story will show anyone at anytime that they can do anything they put their mind to. My motto in life, and now more than ever, is "Don't Ever Give Up." 10-12-2006 WOOSTER After a trench accident in mid-October that nearly claimed his life, Ross "Buddy" Barton has spent his time eating soup and pudding, learning to use his left arm, going to doctors and physical therapists and resting at home. For Barton, 28, who continues to recover from a collapsed trench accident in Lorain County that buried him up to his neck and trapped him for more than two hours, getting to spend time with his wife and two kids has been the biggest blessing. "I just always kind of thought I'd get up, go to work, come home and see my wife and kids, but that was real close to not happening," he said. Barton, who lives in Wooster, was working for a construction company for a little more than two years. He said he left for work the morning of the accident like any normal day, but by about 10 a.m., while working to lay waterline, it became clear the day would not be normal. A 12-inch pipe was being lowered down to him, he said, when he threw his arm up around the end of it, as he always had, and the trench started to cave in. Barton found himself buried up to his neck, with just his neck and face above the pipe. "I yelled to the guys it would break my neck if they didn't get the weight off my back," he said of the force that pressed his neck and windpipe against the waterline. Barton said he could only recall about 20 seconds of the accident, before he became unconscious and hypothermia set, but it was enough time to think of his wife, Tammy Barton, his 4-year-old daughter, and 19-month-old son. "I just thought about my kids and my wife," he said. 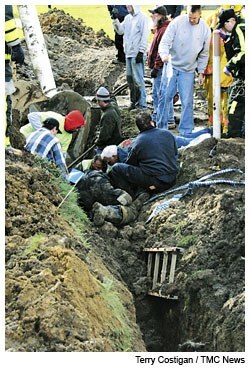 After the trench collapsed, bystanders used equipment on the site to try and free him. In one effort, a trackhoe took a scoop of soil, breaking an existent waterline and flooding the trench. He said his foreman, seeing the flooding, set up a water pump to keep the trench from filling. Co-workers later told him the water came up above his head and they administered mouth-to-mouth for about 10 minutes. He said at one point, he turned blue, his eyes closed, he stopped breathing and his crew thought he was dead. But they gave him one more big push of air and he took a deep breath. "All four of them saved my life and I told them all that," he said of the 4 co-workers. In all, about 100 people helped with the rescue. Tammy Barton said when her brother called her telling her there had been an accident, she did not at first believe him. "When he first told me about it, I thought he was joking. But then he got choked up, so I knew," she said. She said her mother and a sister drove together to MetroHealth Medical Center, arriving just before her husband, who was en route via helicopter. "All the blood vessels in my eyes broke because of all the blood that was forced into my head", Barton said. The dirt forced my face into the pipe. It just got heavier and heavier and heavier. I heard a big pop. It was me. I thought for sure it was my neck breaking, but it was the sound of my jaw snapping in two. All I could see was a black and white picture of my daughter in the sky. She wasn’t smiling or crying, she was just staring at me. I thought, Who is going to raise my kids? Is my wife going to get remarried? All kinds of stupid things. It was so drawn out, and it was so painful. I’ve always had the attitude that if you work hard and believe in something then you’ll make it. That was the first time in my life that the odds were stacked against me so badly. That was the first time I ever thought,Yeah, it’s pretty much over. I kind of just went to sleep. I remember closing my eyes because I just couldn’t bear it. I saw the light like everybody says you do when dying. It was a bright light — just dead silence. I remember coming to and waking up. I looked up again, and there was my whole crew. They were all crying and standing together and just staring at me. I remember hearing this really loud generator right up by my head to get the water out of the ditch — a water line broke. It was really cold, and I was totally soaked. When the doctors woke me up, I was still trying to dig myself out of the trench with my left side, which could still move. I still didn’t really know what happened until like 10 o’clock that night, when I was lying in my hospital bed. A sweet little old lady who was taking care of me said, “You’re on TV.” She turned on the news, and it showed the scene. Ever since I was a kid, I wanted to be an auctioneer. 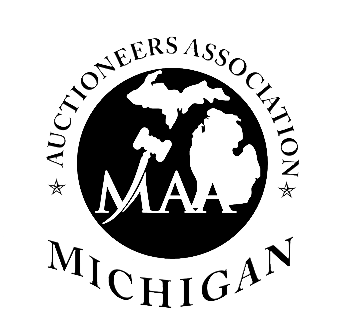 You can’t really just up and decide you’re going to take off work and go to auctioneer school. It took a giant wall of dirt and dying twice — doctors said they revived me twice — to get me to be an auctioneer. My wife ended up working three different jobs while I was off to make up the money we had lost. Life is still a battle. There are times when I’ll lie in bed and put the covers over myself. It’s dark. And just when I start falling asleep, I panic. I start thinking it’s a wall of dirt. The Bartons said their children still were too young to fully understand, but the oldest knew something was wrong. "She just kind of stood there and looked at him because she knew that he had gotten hurt," Tammy Barton said. "My little girl took it kind of hard when she saw it on the news," Buddy Barton said. "She saw some pictures she didn't really like." Buddy Barton suffered a broken jaw and stretched nerves in his right arm and back. He has difficulty moving his right arm beyond the elbow and has numbness in both his right leg and arm. He said it's up in the air whether he'll ever be able to return to work, but he is optimistic. He receives physical therapy three to five times a week in Wooster and makes regular trips to MetroHealth Medical Center for follow-ups. He has regained some feeling and hopes it will continue. Meanwhile, he has been practicing with his left hand and said he is tired of eating an all-liquid diet, which he must do because of his broken jaw. Recovery has been "slow and depressing," he said. "I've always depended on my arms and legs to do my job, play with my kids or whatever, and now I don't have that." From it all, he has learned a lot. "The way I look at everything now is totally different from before," he said. "You can't ever take anything for granted. When I left for work, it was just like a normal day. You don't think when you get up and leave every morning, when your whole family is sleeping, that that's the last time you might ever see them, no matter what you do for a living." An avid Cleveland Browns Fan, he puts his Browns flag out every Sunday and is a season ticket holder. A license plate on a car outside his home also bears Browns insignia. He's an Ohio State Buckeye fan, too, but what he loves most, he said, is just being with his wife and playing with his kids and being an Auctioneer!